Last night I watched a really nice TV spot called “new leaders” on the subject of world hunger. Part of Unilever’s “Project Sunlight,” the spot made me feel good and actually tear up. It’s a wonderful cause and the spot is exceptional theater. I’m a sap for good. A couple of years ago Unilever was being dinged for deforestation while harvesting palm oil. It reacted slowly and in a clunky way before taking the negative press seriously. That’s what a protest or two will do for you. Fast forward to today where Unilever is bringing suit against Hampton Creek a U.S. manufacturer of mayonnaise. The product Unilever is targeting is “Just Mayo,” a healthier for you product targeting Unilever’s cash cow mayo staples Hellman’s and Best Foods. Just Mayo is vegan, eggless and non-GMO. If it can pass the taste test, it will be very successful. As the Mayo wars heats up, Unilever is dialing up the positives around its master brand. This is damage control, free enterprise, electioneering and marketing at its best and worst. It is also expensive. Unilever should never have gotten itself into this position. 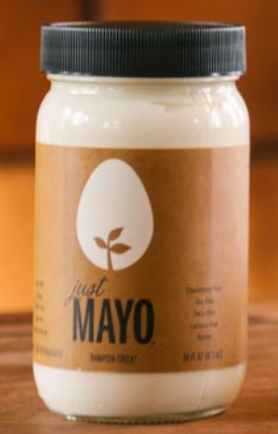 It should have created Just Mayo before Hampton Creek. That’s marketing too. The Product P of the 4 Ps. Unilever is working to be a good corporate citizen. A misstep here and there are to be expected. For Unilever, more good will come of this learning moment than bad. Let’s wait it out. Peace. Next articleSlow the Babbling Brook of Tweets.